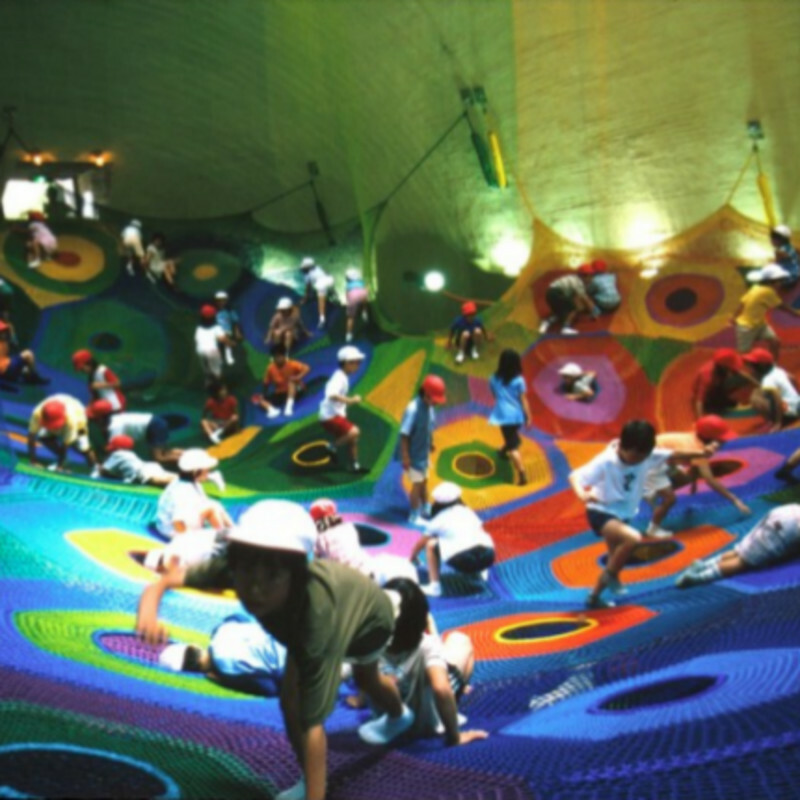 Japanese artist Toshiko Horiuchi MacAdam began turning her crocheted artwork into sculptural playgrounds in the mid-1990s. This one, at Takino Suzuran National Park in Hokkaido, Japan, opened in 2000. The rainbow net took three years to crochet.